Professor Roger Roffman's research interests focus on behavioral interventions in the fields of addictive disorders and domestic violence. His studies of check-up interventions are tailored for individuals who have concerns about current behaviors that are causing adverse effects, but are ambivalent about committing to change. His studies of behavioral counseling interventions focus on supporting individuals who desire to change their behaviors. 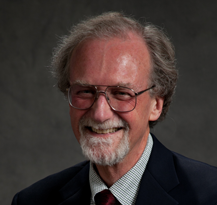 Dr. Roffman first joined the UW social work faculty in 1972. In the mid-1980s, he was the founding director of the Innovative Programs Research Group, an externally-funded research entity focusing on addiction, HIV/AIDS, and domestic violence. In October of 2009 he formally retired from the faculty, but has continued with the School on a part-time basis as a co-investigator on several studies at the IPRG.